This genuine OE part will help you easily install GE MWF refrigerator water filters in FXRC, FXRT, MXRC, HXRT, WR97X1006 or Kenmore 46-9905 fridge models. Adapter will remain in your refrigerator, meaning one is all you will ever need! 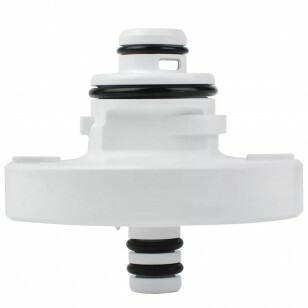 Order the GE MWF refrigerator water filter adapter online today.